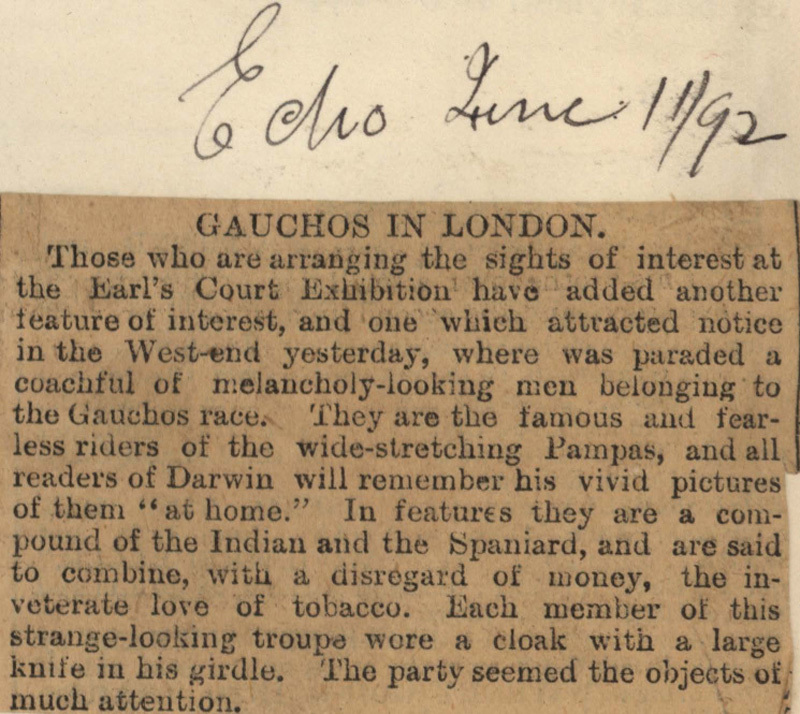 Those who are arranging the sights of interest at the Earl's Court Exhibition have added another feature of interest, and one which attracted notice in the West-end yesterday, where was paraded a coachful of melancholy-looking men belonging to the Gauchos race. 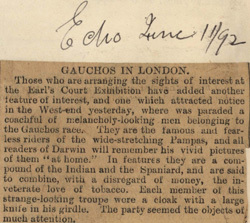 They are the famous and fearless riders of the wide-stretching Pampas, and all readers of Darwin will remember his vivid pictures of them "at home." In features they are a compound of the Indian and the Spaniard, and are said to combine, with a disregard of money, the inveterate love of tobacco. Each member of this strange-looking troupe wore a cloak with a large knife in his girdle. The party seemed the objects of much attention.